2016 has been a pretty good year for guitarists. 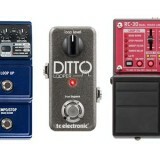 A nice range of pedals as well as other gear has come out and so many have been fantastic. There’s a lot of competition among pedal manufacturers so there’s a massive push to produce good quality gear. In this short article I’ll cover some pedals that blew me away. I don’t own all of these pedals as some I only managed to try out thanks to my students. Like any other ‘best’ list, these are just my personal picks – so don’t feel frustrated if your favorite pedal from 2016 isn’t on this list. 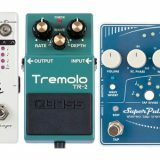 Have a read through these pedals and send this article to any friends or family trying to find Christmas presents for you. I’ve had a lot of fun with some of these pedals and you might too. While I’ve only had this pedal for literally under a week (2018 update: it’s still one of my favorite pedals), it has already earned its place on this list. It’s not a revolutionary pedal, but for songwriters, it’s a blessing. The WireTap focuses on one important job – capture any riffs and ideas you come up with on the spot, directly from your pedalboard. 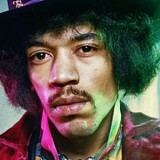 If you write your own music, there’s nothing worse than coming up with a killer riff only to forget it later that day. I shudder to think of all the licks, riffs and ideas I’ve come up with over the years that have been lost as I didn’t have a quick and easy way to record them. 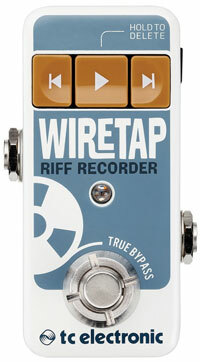 While there are some looper pedals that can record and save your ideas, they don’t really compete with the WireTap. As soon as you come up with an idea, simply hit the footswitch and you can record your idea and move on. No worrying about overwriting your recordings and no stressing about running out of room as it holds up to 8 hours. Being able to connect a smartphone to the pedal via Bluetooth and sync, edit and tag your ideas is such a time saver. 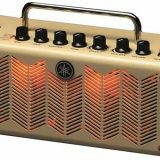 While not everybody will have a use for the WireTap, for those who write music I highly recommend reading my review of the WireTap Riff Recorder here. Check out the full details and price of the WireTap here (link to Amazon). Reverb typically isn’t something guitarists tend to get excited over. Most guitarists tend to use a lot of delay and neglect reverb completely. If you’re one of those guitarists, you might want to give the M300 a go. It might change your mind about reverb. I’ve reviewed the MXR M300 Reverb here so check it out for a thorough look. To learn more about reverb, check out my Ultimate Guide on Reverb here. Seriously, put on some headphones and check out the video – fantastic tones. Check out the price and full details of the M300 here. The original Ditto Looper has been a massive hit thanks to its simplicity and compact size. But the chances are you will want something with more control and flexibility. 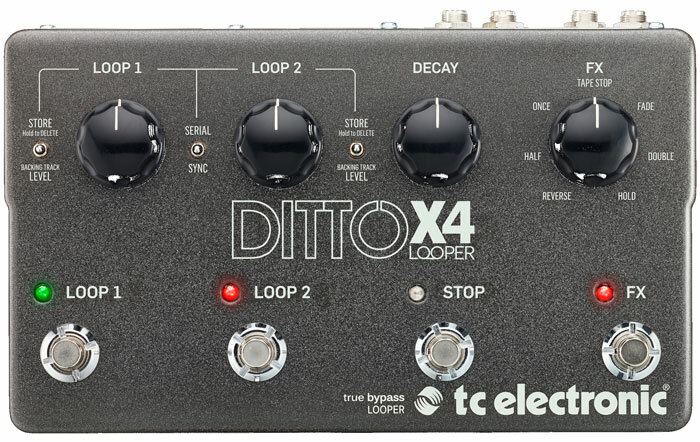 While there are plenty of loopers that fit that bill (check out my Guide on the Best Looper Pedals here), it’s nice to see TC Electronic expand the Ditto range to a bigger and feature-packed version. As I explain in my guide on Loopers, the number of footswitches plays a big role in what you can actually do with the pedal. Four footswitches provide a great amount of control along with other features such as two loopers and even MIDI sync. Check out the price and full details of the Ditto X4 here. One of my students bought the Avalanche Run and brought it in during a lesson and I was pretty impressed. I don’t often get a chance to play with boutique pedals and if this pedal is anything to go by, I really need to start checking more out by EQD. It’s in the upper range in price for delay and reverb pedals, but when you consider the quality and flexibility offered in this well-made digital pedal, it’s worth looking into. I haven’t spent enough time to go into the details, but it did leave a big impression on me. 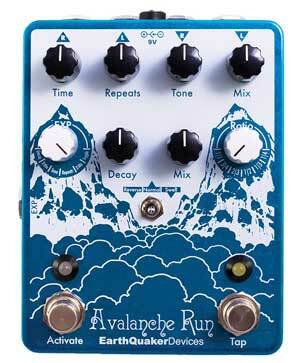 From now on when I hear people say that digital pedals have no life, I’ll point them to the Avalanche Run. Check out the price and full details of the Avalanche Run here. While there are plenty of great wahs already available (check out my Guide on the Best Wah Pedals here), I always like trying out a new wah. It’s such an iconic effect and each wah has it’s own unique qualities (although sometimes the differences between wahs are pretty subtle). While I personally thought the Crying Tone Wah was really unique and innovative, it’s interesting to see EHX go back to a classic design and feel. If you haven’t already got a wah pedal, check out the Wailer Wah before you decide on one. Check out the current price and details of the Wailer Wah here. 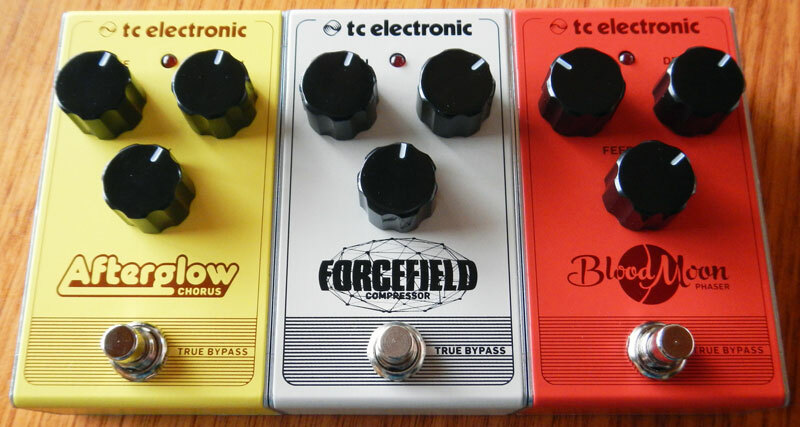 TC Electronic released a new range of affordable pedals recently – an entire range! 13 new pedals all at once. That’s pretty impressive. They were nice enough to send me three of those pedals (Blood Moon Phaser, Afterglow Chorus & Forcefield Compressor) and I’ve reviewed each of them. Think of the Smorgasbord range as simpler than the typical TC Electronic pedal. While TonePrint is a great feature and offers a lot of flexibility, sometimes you might just want a simple pedal with two or three knobs to control your tone. While I’ve only played 3 out of 13 pedals, the three I have sound amazing for the price (especially the Blood Moon Phaser). Check out the Smorgasbord range here for more details. To stay up to date with new pedals as well as guides, reviews and lessons other other gear and topics, subscribe to my email newsletter here. Check out some of the best guitar pedals released in 2016 and whether they deserve a place on your pedalboard or not.